Getting closer to our fourth year of existance, we can think that we’ve draw a personal path, mainly focused on nowadays sounds, thanks to DIY works and other kind of “independent” productions, focusing also on the ones close to us. After the release of the first two compilations (the second one was titled “Dronegazers?”), we’ve thought about a new one which could including the artists we liked the most in 2015. We chose them among the many projects we follow and we’ve already talked about. In this new chapter we try to provide to our readers a number of tracks that could be representative of at least two macro-genres, divided in two volumes. The first shows our interest for music devoted to research, especially to the various kinds of psychedelia, improvisations and electronic music. The other one it’s linked to heavier and metal-oriented sounds. We know pretty much well that there are plenty of projects out there and that this is just our “version of the story”. The New Noise Vol. 3 by aa.vv. The New Noise Vol. 4 by aa.vv. 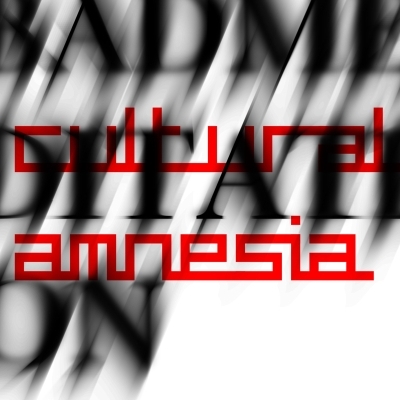 Cultural Amnesia announce the release of Bad Meditation, their first new album for four years, and the digital release of Still Hungry, an E.P. of tracks from the 1980s. Cultural Amnesia and Bleak are proud to announce the release of a new CA album, Bad Meditation, and the first digital release of Still Hungry, an EP of tracks from the 1980s. 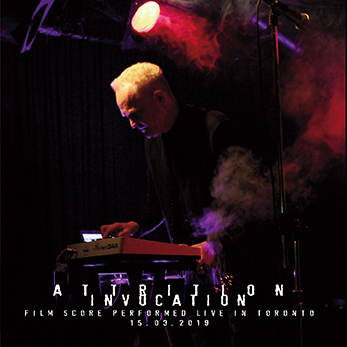 Each release has an accompanying video. Still Hungry comprises four tracks of 1980s material, released as a download here for the first time. Released in a limited vinyl edition in 2007, it includes a version of ‘Scars for E’, one of John Balance’ songs for the band. Comes with a digital booklet and video. Vienna-based Ventil Records keeps on moulding their awesome sound with a cross between ambient, noise, industrial and dark electronics by launching a split release that got signed by Peter Kutin, co-founder of the label, and the young producer Leon Leder, aka Asfast, whose stuff flows between erudite electronic composition, the harshness of 2nd Gen and darker acts… promoters have compared their sound to Varese’s and Swans’ styles, but take a look at their answers of this email interview below to get to know them better and understand what they think of such a comparison… and open up your ears up to check out their stuff, of course. Chain D.L.K. : Hi guys! How are you? Peter Kutin: Disturbed. I just checked the news. Chain D.L.K. : I’ve listened to your split release and I can only praise your work…I wouldn’t have thought it could come from a newcomer…first of all, do we have to consider you as a proper newcomer, or do you want to tell us some of your history within the electronic or musical territories we may not know? Leon Leder: I don’t really consider myself as a newcomer in terms of electronic music production. I’ve been dealing with producing electronic music for eight years now, I think. I never really cared about publicity, so in this regard I feel like a newcomer. Peter Kutin : I’ve been making new sounds since I bought my very first tape recorder at the age of 14. Since then things kind of developed… For the newcomer question, I do agree with Leon. Chain D.L.K. : Do you remember the very first sound you generated by an electronic device/synth/keyboard or whatever? Chain D.L.K. : ..and the first “composer” to persuade you to get closer to electronic music production? Leon Leder: I was really impressed with Venetian Snares when I was 16 years old. His love for details, especially in terms of beats, definitely showed me a new way of thinking of electronic music. Peter Kutin: The synthesizer player Wendy (formerly Walter) Carlos; she did the sound design and music for ‘Tron’, a Walt-Disney production whose radio-play version my grandma gave me (as an audio tape) at the age of something like seven or eight, I think. I was listening to it forever, so I am sure it had its impact, as there are really crazy Synth sounds in it. I later discovered Carlos again due to his work for Stanley Kubrick. Peter Kutin, courtesy of U.M.Z. Chain D.L.K. : You laid the foundations for Ventil Records…could you trace the stylistic or even conceptual ground on which those foundations have been built? Peter Kutin: The first choice was to have an opportunity to release my own music and music from people around me who do great productions, but who are not represented, nor supported by any sort of label in Vienna. So I got together with Ursula Winterauer and Michael Lahner, both active within that scene, to build up a label. The concept is based on the quality, the originality and the guts of the production, not about the style. Chain D.L.K. : …and which heights is Ventil going to reach? Peter Kutin: Once your quality is good and stable, the ‘Height’ you can reach is very much determined by the money you can invest and the brilliance of your media-work. In that sense, as Leon said before, Ventil-Records is a newcomer. Chain D.L.K. : While I’m writing, I see you planned a release party on 19th November in Wien…any “special” guest amidst the invited people? Peter Kutin: Everyone is super special. Chain D.L.K. : When I read the introduction of Ventil that said it could sound like a possible collaboration between Varese and Swans, I frankly thought you exaggerated…after listening to it, I understood how those words could make sense… Peter, could you explain that link to our readers? Peter Kutin: I think that listeners of both artists, Swans and Varese, can find certain things on the record that are interesting to hear. That’s why we used these names. 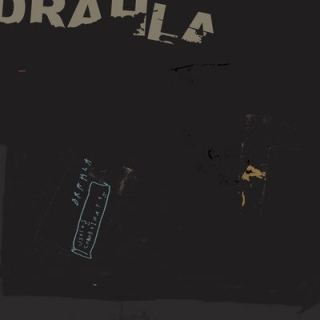 Also, if you know about the very precise and uncompromising style and the characters of the Swans (Michael Gira) and Edgar Varese, you will know that we are not into hipness, but rather into politics. And yes, of course it is exaggerated, it is a PR text. Chain D.L.K. : As a matter of interest, Peter, how did you grab the field recordings (supposedly they are) of that track related to dentist drilling? Peter Kutin: I put a piezzo mic over/on the cardial bone of my skull. Then I pressed record on my SoundDevice and the dentist started drilling. We both had lots of fun and it didn’t hurt as much as usual. The dentist almost didn’t want to stop ‘cause he got so excited. Which is a bad side-effect. Anyhow, I recommend this procedure for people who are afraid of the dentist. The funny thing is when I play this recording to listeners who don’t know what the sound source is, they are like ‘interesting sound’ or ‘what plugin does this?’ When I then explain that it is my dentist drilling into my teeth, they feel some sort of pain or something like that. You see, to me it is a very interesting thing, how knowledge changes our perception. Not always in a good way. Chain D.L.K. : What’s your “intimate” or mental relation to silence and noise? Chain D.L.K. : Which living noiseshaper do you consider a living legend? Leon Leder: I think there are many really good and crazy producers out there, but a living legend? Maybe Ben Frost. I’ve seen him live two times. His unique ideas and how he handles noise in general is something I’ve never experienced before in a live-situation. But of course there are some controversies related to his sound. Maybe that’s part of the nature of a “legend”. Peter Kutin: There are too many. Really. But maybe it’s the inventors of all the audio-software we are able to use. Maybe it is the programmers. Chain D.L.K. : How did Vienna influence your sonic art? Leon Leder: Of course we have a long tradition in Vienna in terms of experimental electronic music. We have eMego with great artists like Fennesz. But when eMego got big I was a little boy, and I think many things have changed since then. I really admire eMego and I already had the pleasure of playing a support show for Oren Ambarchi, but I cannot say that I’m totally influenced by eMego and its environment. I’m more influenced by the events we have here in Austria like Donaufestival and Elevate Festival. There are also some smaller events here in Vienna with great bookings. It happened quite a view times in Vienna that I was really surprised by the “freshness” of live-acts I never heard before. That’s an influence. Peter Kutin: I had to stay away from Vienna for quite some time in order to forget all the influences the city and its scenes had on me. The electronica-circle with eMego in its center, the Fennesz breakthrough, the experimental and contemporary scene. So I went off, travelling, changing cities, etc… When I came back I had a much clearer vision of my own musical ideas. Chain D.L.K. : Leon, what’s the source of those otherworldly vocals of “Cocooning”? Leon Leder: Actually, it’s a synth-sound with a long effects chain. Chain D.L.K. : Any connection with other forms of human expression (literature, video-art, painting or whatever)? Leon Leder: There are periods where I read a lot and watch a lot of movies; many of my friends are studying art and I’m sure that all this influences my music somehow, but I couldn’t say that there are essential relations between that and my music production. Peter Kutin: Sometimes I am asked to do music for Performance/Theater and Films. It’s good to see how these art-forms ‘work’. Every art system has its own mentality. Or something like that. And there is nothing better than reading a good book, or watching a great movie… it all depends on how much is going on at a certain time.